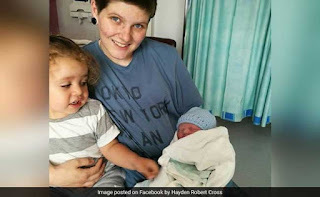 The first man to become pregnant in the United Kingdom has given birth to a bouncing baby girl through Caesarean operation. 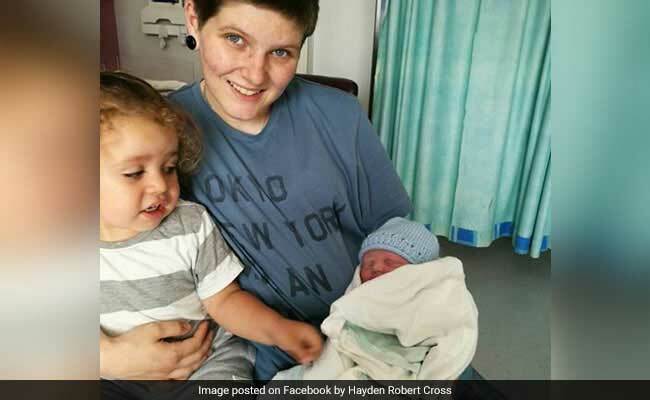 Hayden Cross, 21, made headlines around the world when he announced he was pregnant by a sperm donor, three years after becoming legally male through gender reassignment. Now, after many months of pregnancy, Cross has delivered a bouncing baby girl. According to The Sun, Cross gave birth through Caesarean operation on the 16th of June. His daughter’s name is Trinity-Leigh. By the achievement, Mr Cross, from Gloucester is the first transgender man to give birth in the UK. “She’s perfect in every way,” he told The Sun. Mr. Cross has said after the birth of his daughter that he will now complete his gender reassignment to remove his breasts and ovaries. Mr Cross, who was born Paige, had applied to have his eggs frozen on the NHS in the hope he would be able to have children in the future. But when he was refused, he found an anonymous donor through a Facebook group and put his transition on hold. His daughter was born at Gloucestershire Royal Hospital. Her birth was registered at Gloucester Register Office on Wednesday, with Mr Cross listed as mother but no father named. He received death threats after news of his pregnancy broke. 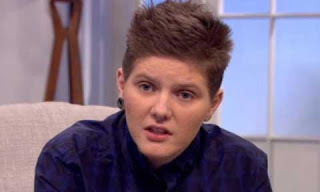 “I have had some good reactions but I’ve had some really bad reactions,” Mr Cross told TV host Lorraine Kelly.